For the last five years, I have been positioning myself more and more as a destination wedding planner. In truth, it began out of necessity when my husband was in the Marine Corps which took me away from my full time home of Charleston. While work always brought me back “home” to Charleston, I leveraged my new traveling role into one that served my clients…and it worked. Each year I add at least one new town to my list of destinations and my goal for 2018 has been to expand to new international venues (read more about my international plans and journey here…). 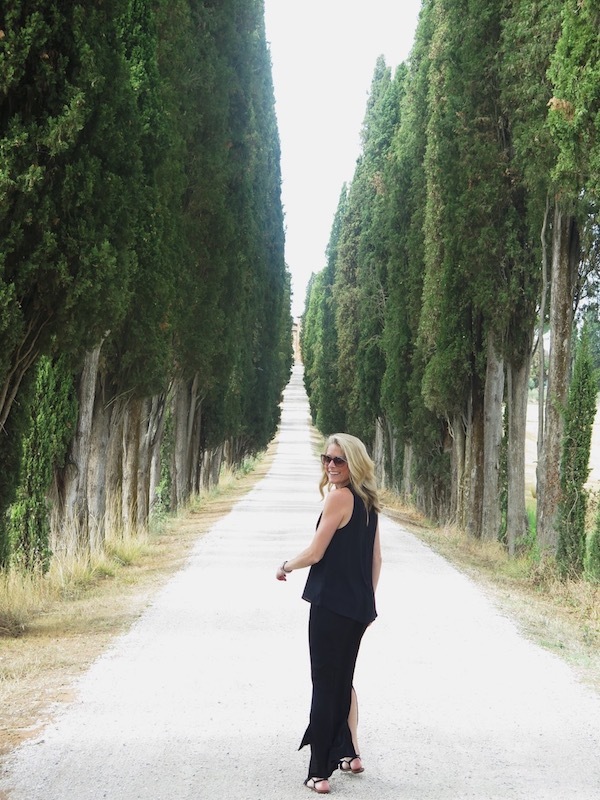 Having just booked a wedding outside the Loire Valley in France, I am reminded of my passion for travel as well as of all the things I’ve learned along the way. If planning destination weddings was easy, everyone would do it right? Planning a wedding, especially one internationally, involves immensely more work than a wedding in your own town (see my blog post on destination weddings and all the work that goes into it for more on this…). You are charting new territory and more than likely have limited personal referrals to rely on if the wedding is abroad. Start vetting your vendors by asking your venue for referrals of previous clients. Contact them and ask them about their experience. Knowing that every wedding and budget is different, ask if they would mind sharing a few photos so you can get an idea of the scope of their wedding and how it may compare to yours. While their experience is highly valuable, it is equally important to ensure that your expectations and theirs match up. After identifying a few vendors in each category, become an investigative detective. Scour their social media accounts, read client reviews (particularly reviews hosted by Google, Facebook, or TripAdvisor, as the vendor cannot control or manipulate these), take note of publications they’ve been featured in, and pay attention to the dates of posted work and reviews to ensure they are actively involved in the market and currently creating events. Feel like you’ve reached a dead end on one vendor but have really hit it off with another? Ask the vendor you’ve found for their recommendations. They have assumedly done many events in the area and can prove to be an incredibly valuable asset in helping you complete your vendor list. In many ways, vendors are better references than previous clients because they have worked with other vendors in many different capacities (venues, budgets, formats, etc.). Once you’ve decided to inquire with a vendor, ask for referrals of past clients again. Likely they will send you happy former clients however usually clients are willing to be candid and share things that they may have done differently had they know X, Y and Z. At the end of the day, if you have thoroughly done your homework and still have a feeling one way or the other, I’m a big believer of trusting your gut. Never go into your wedding with an uneasy feeling. Do everything you can in advance to wipe away any nerves by booking vendors you trust! This point can be true for any wedding, domestic or abroad, however we dig a little deeper when dealing with destinations and foreign markets. – Look at budget minimums of vendors. If their minimums are too high for your budget, don’t contact them. – Consider travel costs of vendors. – Will you incur any shipping charges for getting supplies to the destination? – Thoroughly investigate the venue’s contract for any additional services that they require and do not provide (i.e. lighting, sound, restrooms, security, transportation, cleaning services, trash removal, etc). – Consider exchange rates! This point may be the most important. Ignoring exchange rates may add up to thousands of dollars that you otherwise did not budget for. Keep tabs on what the current rate is and continuously check it throughout your engagement. To be safe, add a contingency budget line item in case the exchange rate changes against your favor. Doing all of this will shake out any potential surprises and hidden fees that may otherwise back yourself into a financial corner. As eager as you’ll be to book everyone and everything that you want, practice a bit of patience so that you don’t put the wedding of your dreams at risk. Be smart, do your homework. As with budgeting, this is true for any wedding but more so for one that involves traveling. Even as you begin initial discussions of your wishes, begin a timeline and start mapping out the sequence of events. It will help give you a realistic picture of what is feasible as well as a guide for contracting your vendors. Your thorough and comprehensive timeline must begin from the moment of your arrival through the event weekend and your departure. If you are unable to visit the destination before arriving, allow plenty of time the week of the wedding to conduct site visits, view rentals, and troubleshoot if need. Planning on sourcing your reception wine locally with your beau? Or would you like to purchase regional delicacies to package as favors? *Wink, wink to my French bride if you’re reading this. * Consider the size of your rental car and be sure that you allow ample time to not only accomplish the tasks but to savor each as well. You are building an experience of a lifetime. Don’t rush it! Building in time to solve any unforeseen problems will give you the cushion you need to make things right while still allowing yourself time to relax and enjoy your guests in the beautiful location you’ve so carefully chosen. 4. Have back up plans. Have as many back up plans as possible. This goes beyond planning for rain. Lost luggage? Trouble with customs? Issues with your credit card? Did something you shipped weeks ago not arrive? There are numerous things that could go awry when traveling. Knowing this and maintaining a laid back attitude help but planning for them is the best thing to do. Plan to carry on the most important items you’re traveling with such as the wedding dress and rings. I would add the printed materials to my carry on as well as any other custom details we worked so carefully to design. Notify your banks not only of your travels but of your higher than usual spending. There’s nothing like a $30,000 overseas catering bill to set off all of the alarms at your credit card company! You get the gist. Be the savvy traveler you surely already are and recognize that you must be extra diligent when traveling for a destination wedding you have so carefully planned. All photos in this post are amateur behind-the-scenes snaps from my working travels! …let’s keep in touch, subscribe to my e-letter.